The Dart Zone: So this is how it begins. >> So who the hell is this torukmakto4? Well, this place is called The Dart Zone for a reason, isn't it? Among other things, I'm a nerf hobbyist. Just like Bazookafied, MyLastDart, Randomshadow, Bobololo and all the various authors of NM&R over the years. Or, perhaps you remember my name because you hate my guts. The long and short of it, though, is that I'm just an ordinary guy. College student, HVZ player... I do this for fun. It's a hobby. There is no commercial interest here. I play games and I try to further and advance what we do, and I try to get my ideas out there for what they are worth. Another tidbit about me... Blogger MyLastDart recently blogged about blogging, about how not to fall into the endless field of sameness that a lot of blogs end up part of. In short, you need an angle. You need a position and a character all your own. There are too many people spamming, I agree. Endless reposting, low quality reactions to other bloggers. Ugh. What I realized? Man, do I have an angle. I should post something, shouldn't I? Yeah, The Dart Zone. Just a name. Doesn't really mean anything special. It's a zone... for stuff that shoots darts. There were enough "Nerf _________" and "__________ Nerf" blog titles out there. Aside from Nerf Mods And Reviews, I find most of those just don't... ring. The Dart Zone. I like it. I think I'll keep it. 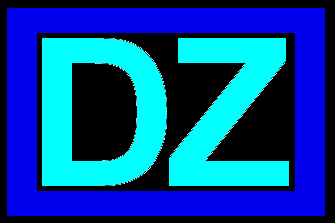 I'll get in the habit of calling it DZ. Anyway, back to angles. But first, a little history of where torukmakto4 came from. Back in early 2010, I was a senior in high school. Humans vs. Zombies and the whole idea of nerf being a hobby was completely unknown to me. Hell, nerf was completely unknown to me. Then... everything changed. One day, Lockheed Martin reps showed up to our class talking about some kind of robotics competition. I was in, almost as a matter of course... the task? Run a timed target shoot with RC vehicles on a course going head-to-head with other teams. We had to have large projectiles to retrieve and count for scoring, which were safe for bystanders in case of accident, and carried enough momentum to knock down the targets. It was made for nerf. 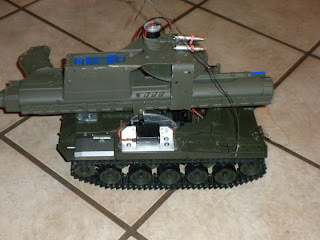 So, my team rolled out a winning bot, based on a cheap toy-grade RC tank with new electronics and, most importantly, a prominent electrically primed Nerf Raider on a simple low-cost elevating mount I conceived. I ended up fabricating a lot of parts for that, and not to grab credit, but my parts were about half of our eventual victory. The other half? It was our winning weapons choices, a solid, reliable gun tuned to the edge of permitted power with an accurate mount system and a huge magazine. Others missed, jammed and failed to knock down targets with their Tommy 20 and burned off whole cans of ammo with their Vulcans, we just steadily click-click-boom'ed our way to victory. So what's this tangent about robots and high school have to do with DZ? Well, all I am doing now as I mod and play HVZ is precisely what I did years ago for that competition. I owe my entire philosophy and approach to the "Lockheed Bot". I am perfectly unchanged from then; I am just analyzing practical applications for nerf guns - games like HVZ - and designing and modding my way to performance in those applications. It's very cold and hard and one-sided to me. I didn't have any nerf guns as a child and was only dimly aware of their existence back then in 2010, and that would prove to be the key to everything. 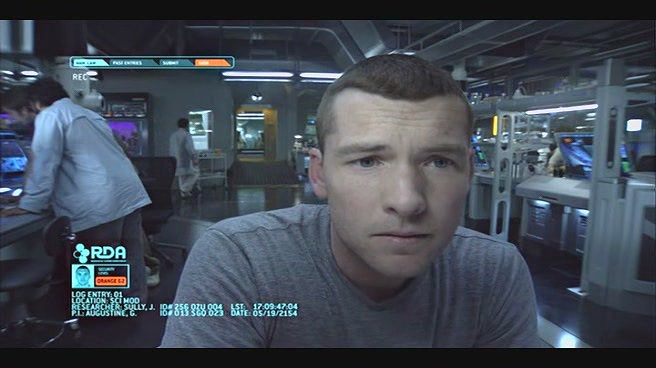 That damn robot, it was my first contact. Wrenching on that thing got me into nerf, rather than the other way around. That is what sets me apart from a lot of nerfers, I find. I have no preconceptions, no prejudices. I look at nerf and I do not see toys, nor childhood memories, nor something to unwind and turn off my brain with. 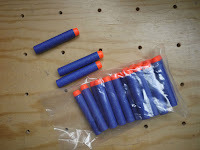 I am not going to limit what I do with nerf to these, or any other arbitrary idea of "what nerf is supposed to be". I look at nerf and I see tools. Means to ends. Equipment with certain attributes that make them work for certain uses; say, simulating firearms in an on-campus reenactment of a zombie apocalypse. And, I see fun stuff. VERY COOL stuff, to buy, design, work on, improve and use. That is what DZ is going to be all about.